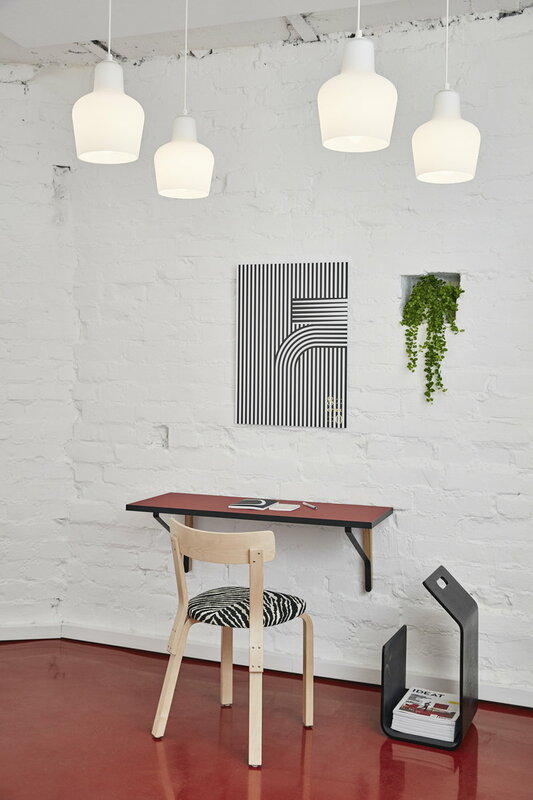 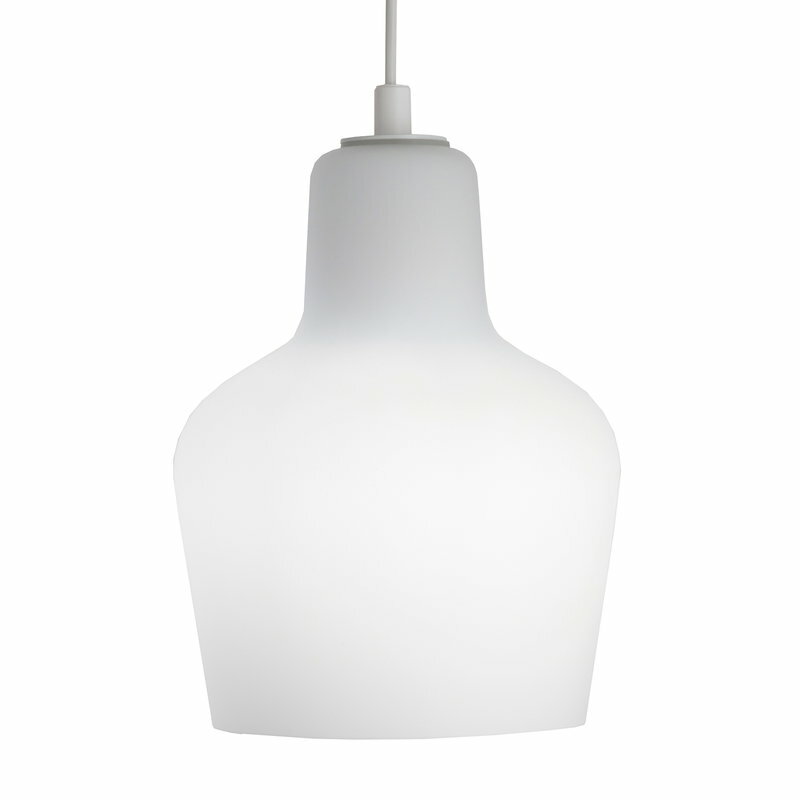 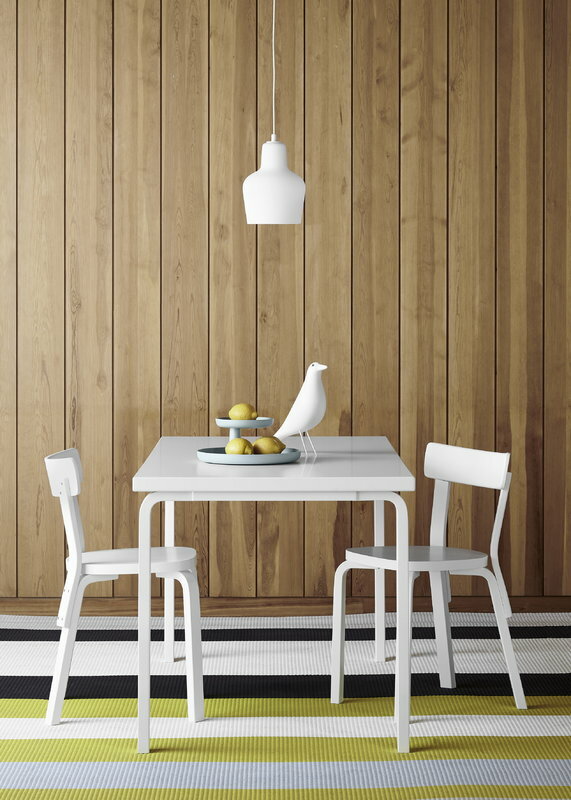 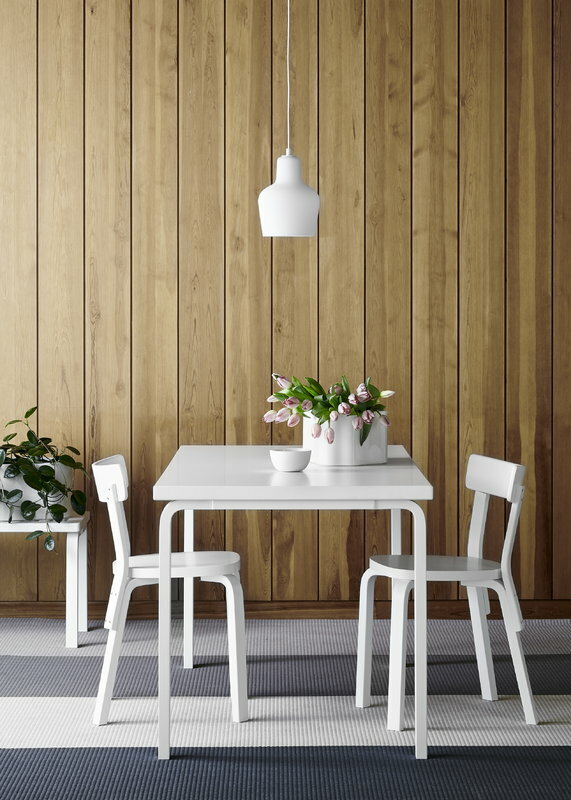 Pendant light A440 was designed by Alvar Aalto for Artek in 1954. 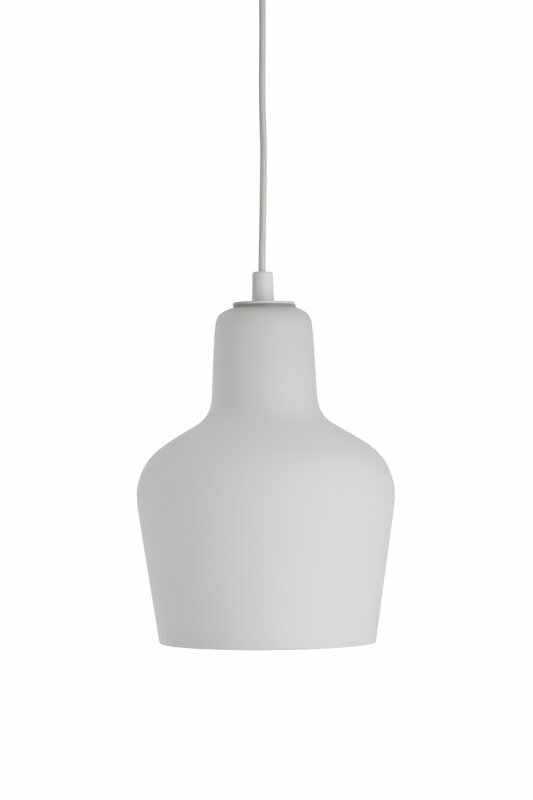 Its flowing shape has references from Aalto’s iconic Golden Bell lamp but the size is slightly larger, and instead of brass, A440 is made of hand-blown opal glass that diffuses the light softly. 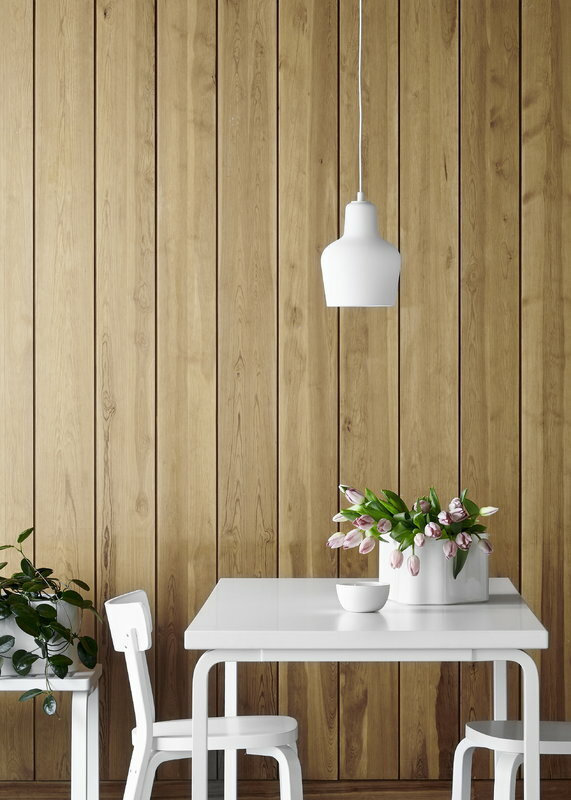 Compared to the downward light of the Golden Bell, A440 casts light also upwards and to the sides and provides great general light for example at the hallway, kitchen or bedroom. 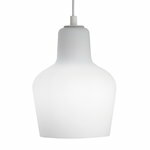 Even though glass is a common material in Aalto’s work, he rarely used glass in his lighting designs. The refined, sculptural silhouette of the A440 pendant makes it one of the most minimalist lamps by Aalto.